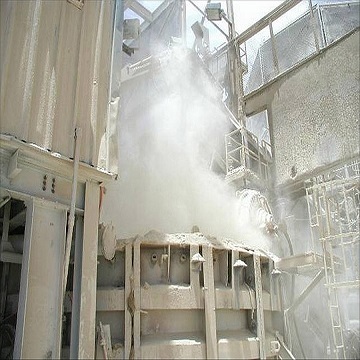 The International Powder & Bulk Solids Conference & Exhibition (the Powder Show) is the leading event in the Western Hemisphere for professionals in powder and bulk solids technology. April 24-26, 2018 at the Donald E. Stephens Convention Center in Rosemont, IL, the Powder Show will once again connect more than 3500 industry professionals and more than 430 leading suppliers for three days of unmatched industry immersion and innovative equipment. Attendees can explore the largest showcase of processing and bulk material handling suppliers, spanning industries such as food, chemicals, pharma, building materials, metals, and personal care products. Attendees also have the opportunity to talk to product experts and see their equipment in action. In Booth 2815, FLSmidth Inc., Bethlehem, PA, will be showcasing its Abrasion-Resistant SK V2 Two-Way Diverter Valve. 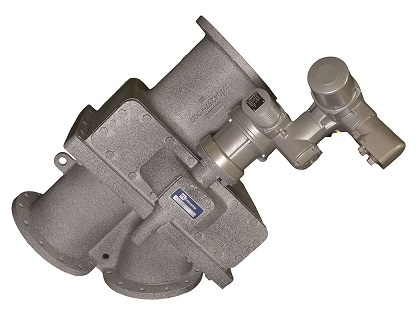 Engineered for precise operation and long life, the rugged two-way diverter/converger valve is suited for abrasive materials such as cement, limestone, bentonite, fly ash, copper concentrate, barite, and other pulverized or granular materials. The valve is compatible in dilute-, two-phase, or dense-phase applications. The large access port presents easy access for maintenance and uses a hinged panel for improved safety. It is versatile and can be re-purposed from right-hand to left-hand on site, saving valuable maintenance hours. The valve uses direct mount actuators - electric, air, or manual operation - for easy connections to controls and wiring. Minimal adjustments are required, reducing installation hours and saving you money. No linkages or guards are needed for this valve, resulting in safer operation and less risk for maintenance staff. General Kinematics, Crystal Lake, IL, will offer its High-Frequency Feeder and Screen in Booth 1436. 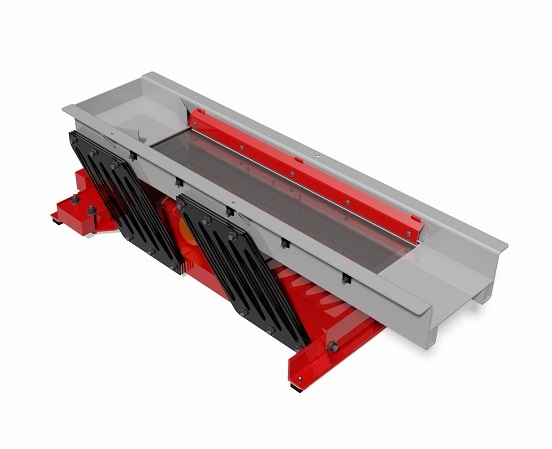 This high-frequency screen or feeder showcases new patent-pending structural springs that provide both spring rate and direction, taking on the roles of rocker legs and springs. The smaller size of the high-frequency motor provides for a more cost-effective solution in comparison to a brute force machine, yet still capable of operating at near natural frequency. One more factor adding to the cost reduction of the high frequency screen or feeder is the minimum need for isolation due to the low strokes and simple design. The trough is available in a variety of materials, including food grade stainless steel. 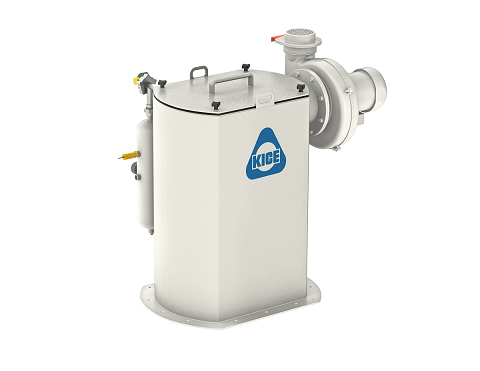 In Booth 1945, Kice Industries, Wichita, KS, will be introducing a completely redesigned Compact Cartridge Filter for direct mounting to bins, drags, legs, and other equipment where access or mounting options are limited. The integrated fan and cleaning system has been designed for simple installation, operation, and maintenance. The filter is designed for various cartridge configurations and lengths to handle a wide range of applications, materials, and air volumes. The filter features a tool-free cartridge replacement to minimize maintenance and down-time. It will be available in carbon or stainless steel to meet specific application requirements. PEBCO Inc, Paducah, KY, has partnered with The Raring Corp. (TRC), Vancouver, WA, as its exclusive North American distributor of dust suppression systems. The company will showcase its newest Dust Suppression Systems for the first time in Booth 2442. By combining air and water on FP nozzles, tiny water particles are created in the same range as the airborne respirable dust, making the system highly efficient. The system uses little water and no chemicals. The technology is simple, natural, and low cost. TRC|PEBCO has a variety of systems that can be selected specifically for your budget or applications, including coal, limestone, aggregates, frac sand, etc. Booth 1845 will feature Rice Lake Weighing Systems’, Rice Lake, WI, Belt Scale Integrator. 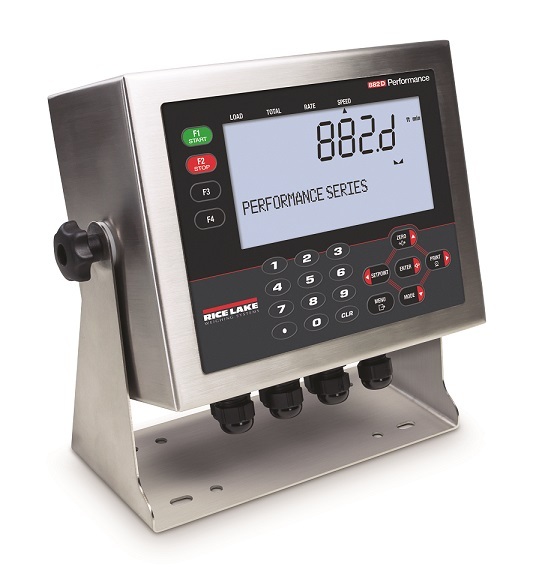 Specifically designed with belt scales in mind, Rice Lake’s 882D belt scale integrator collects, displays, and controls the required data. Featuring iRite programmability, the 882D is able to be customized for your application. The 882D’s backlit display makes viewing rate, speed, and time convenient in virtually any lighting condition. The 882D is also protected from the elements in an IP66 stainless steel enclosure, making it ideal for use in harsh environments.